Starting up Ali Mac Designs brought together my two passions: craft pottery and vibrant textiles. 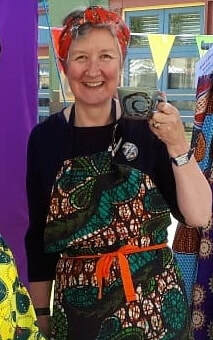 I source exciting and vibrant African design 'fancy' or wax prints and each Ali Mac apron takes on an individual style. I am selling through Etsy so please go to my SHOP page to link through to currently available stock! Grab yourself a unique handmade garment now!